Hey Defenders! Thanks for coming to our petting zoo party area. Traditional petting zoos have been around for ages and let’s be frank, who doesn’t love a petting zoo? 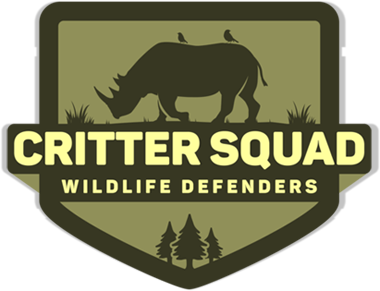 Critter Squad Wildlife Defenders have put together a non-traditional petting zoo that is wildy popular and one of our most booked categories. In our petting zoos you and you defender guests will be able to spend the duration of the event entering our petting zoo area as they please. They are calm, quiet and a great change of pace from our other defender packages. Have you ever fed a duck? Had a chicken sit in your lap? Maybe you have pet a mini pig? What about sitting next to a giant tortoise? Critter Squad Wildlife Defenders run what we refer to as a mini petting zoo, since we don’t use most of the animals seen in a traditional petting zoo. We have added an awesome twist and created one of the most enriching defender packages yet. You birthday defender and their defender guests will experience chickens, ducks, rabbits, mini pigs, massive frogs and giant Sulcata tortoises! You may book up to 3 HOURS of the Petting Zoo Defender Party. Receive $50.00 off each hour for each additional hour booked.